Got the Banan off a ticket before the New Years banner ended. Also had to get my account restored for me doing a dumb thing, but everything worked out fine. Now to try and get a single Feather to max ascend the banan. 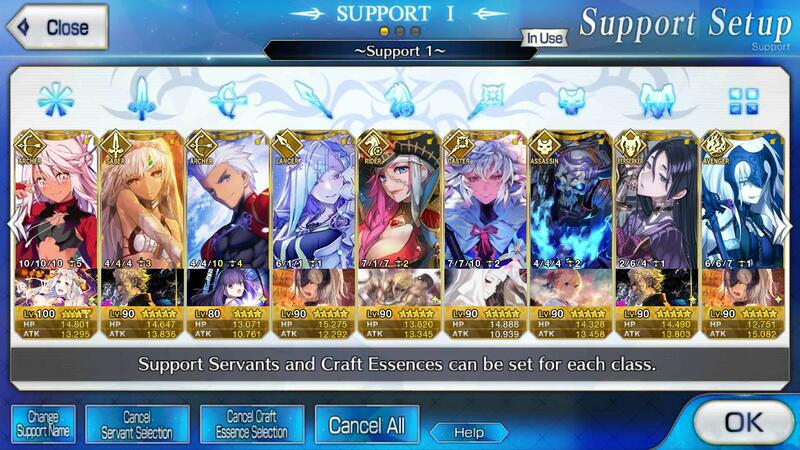 After a kinda-devastating loss of my OG NA FGO account, which, TBF, was totally on me because I was hella neglectful of it on account of devoting all of my tryhard party management to my JP FGO account (still, RIP Altera, Stheno, MHX, Liz), I acquired a new account and am working my way through the story mode to the best of my ability and as quickly as I can (albeit, with the aid of support cheese, which should work pretty well up until Camelot). I promised myself that I'd experience Epic of Remnant and Part 2 as it drops in NA, and by gum that's what I'll do. Sorry to hear you had a huge issue like that IRUN. I think EoR won;t be hitting until April, so you should have some time to catch up. Also you can skip all of the story that you had seen up until now anyhow! At least the new NA account has a couple more Servants I don't even have on JP than the old NA account, so that alleviates the sting. It took two days of grinding Hyde Park, but I finally got enough pages to max ascend Tamamo. Also dropped me down to the lowest currency I've ever hit, 840. Getting 72 of them for her skills is going to be a nightmare. Nito needs them too. And Caligula needs a couple for his final ascension. At least Pages are in almost every event shop for the next few months. Current account has an Okita, so really I just traded one limited SSR I don't have in JP for another limited SSR I don't have in JP who both happen to be Saber. 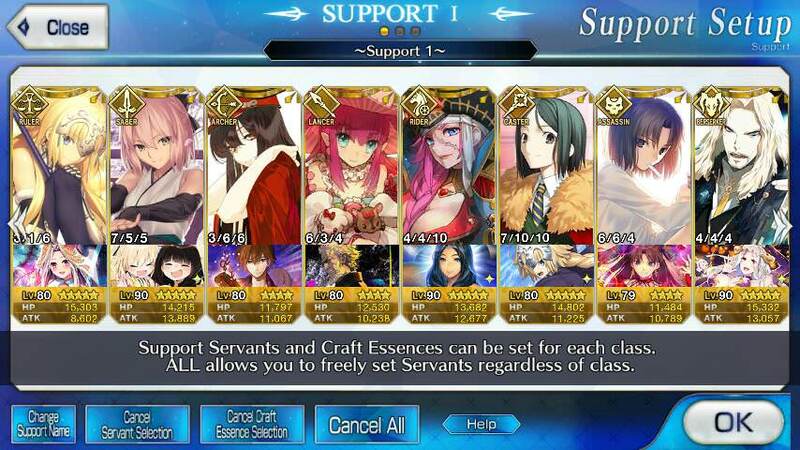 Sent a friend request (IGN: Cyrius) since I leveled up and got a free slot yesterday; support's not all that much, but it might come in handy. Last edited by Deathhappens; January 12th, 2019 at 01:18 PM. Ditto (IGN: Gabriel). Nice to see you around on the NA thread. Sent a friend request as well. ...I distinctly remember you being on my friends list a while ago, IRUn. Wow, so many requests that I didn't even ask for. Thanks! And a couple from some people who've started even later than I did. Huh. Go figure. Did all the interludes possible to find quartz for Hassan, only got a bunch of 3 stars. Oh well, I wasn't expecting to get him anyway. I'll throw in my hat too IRUn. I usually keep AoEs on. I plan to be swapping Jack out for Gramps soon once I've got him max level, and than go from there.